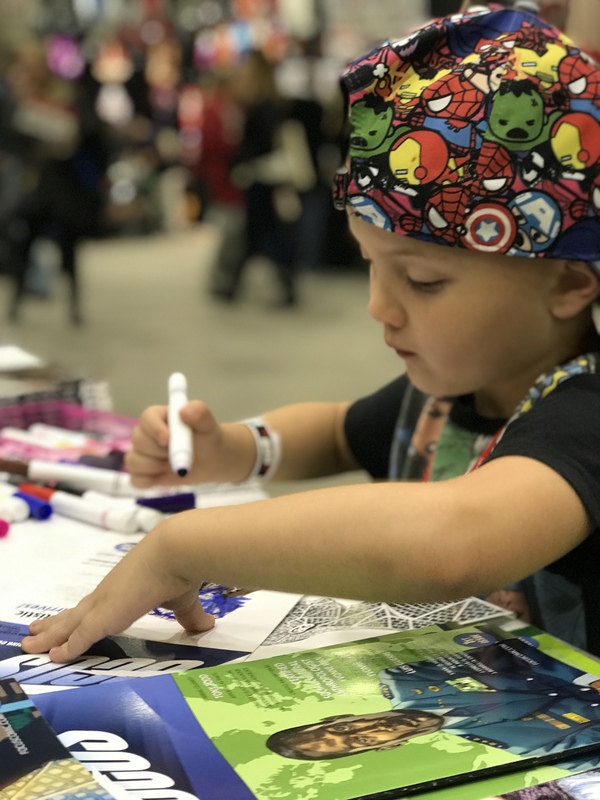 Focus™ Comic had a successful community outreach event at Ace Comic Con Chicago where the creator Yvonne Wan, and main artist Douglas Hebert met the general public and provided free art workshops for kids and young adults. We supporters of the arts and autism awareness. We had a warm reception among kids and adults keen to learn about Focus, the autistic super hero. Our creator Yvonne Wan produced this ACE Comic Con Highlights Film. The film features: Tom Hiddleston; Chris Evans; Elizabeth Olsen; Lee Pace; Zazie Beetz; Karen Giłłan; Nikki Bella; Brie Bella; Alexa Bliss. The film also includes Jim Starlin the creator of Thanos; Yvonne Wan the creator of Focus Comic, Focus artist Douglas A Hebert, Cosplayers and the general public. We hope you like the film! Thank you to those who participated in the community coloring competition. We also like to thank Intercontinental Chicago Magnificent Mile; Office Depot; Riva Crab House and Strathmore for providing community prizes. Thank you to those who entered our raffle and our silent auction winners. We also like to thank Ace Comic Con for helping us with our journey in raising autism awareness across the USA. We also thank the comic fans for supporting our social cause comic by buying a copy of Focus at the show.